The sour cherry (Prunus Cerasus) is a fruit bearing tree, similar to the cherry tree. This is grown for its fruits that have a sweet and sour taste. The sour cherry tree’s leaves are shiny, with dentated edges and its flowers are white. The sour cherries have a benefic effect on the human body as it balances the acid/base levels. It improves the blood’s composition, improves liver, kidney, cardiovascular diseases. The sour cherry fruits contain: sugars, organic acids, protein, pectin, potassium, phosphorus, calcium, magnesium, vitamins, carotene. The root system is poorly developed, most of the roots can exploit the soil only at a 40-cm length at most. The tree’s aerial part is either small or medium sized. The growing rhythm is lower than the cherry tree’s and the branching capacity is different from one species to another. There are small species and species hat have a vigorous growth. The sour cherry tree blossoms after the cherry tree and the pollination is different. Plant at least 3 different species in an orchard for the pollination to be done normally (20-40% of the flowers must be pollinated). The sour cherry will bear fruit after 2-3 years after planting and the plantation’s longevity is 20-30 years (depending on the species). The sour cherry doesn’t have high temperature requirements. This tree can grow normally, regardless of the geographical area. It is a species with a high winter resilience. During its vegetative rest period, it can withstand temperatures as low as -30 degrees Celsius. The growing buds can withstand temperatures as low as -12 degrees Celsius and the flowers -2 degrees Celsius. 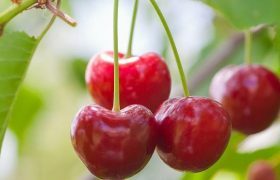 The sour cherry will have a good production in areas where there are around 500-700 of annual rainfalls. The sour cherry tree is, however, sensitive to the excess soil humidity, which causes root asphyxiation. Due to its low light requirements, this tree will well exploit slopes with north-eastern or north-western exposure. It doesn’t like compact and heavy soils, it prefers thin and slightly eroded soils. The parcel must be carefully chosen as the sour cherry tree doesn’t like stagnating water. The parcel where the orchard will be started needs to have a southern exposure and the land needs to be well leveled. The soil must be prepared according to the normal guidelines. 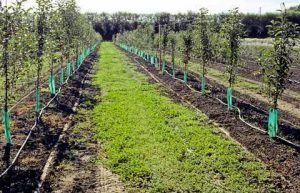 If the plantation is started on a parcel that has been used as an orchard before, then the soil must be prepared 1-2 years in advance. To restore the soil structure and to eliminate any possible diseases outbreaks, plant some perennial legumes on that parcel. If the parcel has been severely infected by weeds, the following herbicides can be applied: Roundup Classic, Roundup Energy. The soil needs to be fertilized using 20-30 tons or organic compost per hectare. We recommend ploughing the soil at a 60-cm depth as this will ease the root development. If this is beyond your capabilities, plough the soil manually. Remove all foreign materials from the soil (as these prevent you from performing the needed maintenance processes). To have a precise planting, mark the parcel. Marking the soil means establishing the future position of every tree you plant. The optimum planting period is the autumntime. During this period, the tree is in its vegetative rest period and it better lives through the transplantation process. To make sure the pollination process will be complete, plant at least 3 different species, on different rows, in the orchard. Due to its shrub lookalike, the following planting scheme is recommended: a 4-m distance between the rows and a 3-m distance between the plants on each row. The seedlings will have to be purchased from nurseries or authorized crop trees stations. Before planting, there are procedures that can be perform in order to aid the seedlings adhere in the soil. The procedures are: root cleaning and root mulching. The root cleaning process has the purpose of removing all wounded areas and smoothing the existing root wounds. 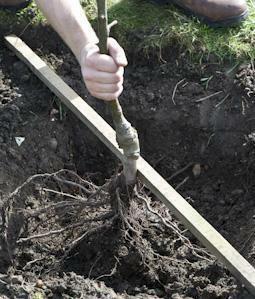 The dead roots need to be completely removed and the living ones need to be shortened to a 7-8-cm length. This process is meant for keeping a healthy root system. The root cleaning procedure needs to be carried out only if the seedlings have been recently taken out of the soil. After root cleaning comes the root mulching step. Mulching represents the process on placing the roots inside a mixture of yellow soil, fresh cattle organic compost and water. The mulching layer will assure a higher humidity percentage around the root system. The mulching mixture must be similar in consistency with the sour-cream. If the seedlings have been transported for long distances, these need to be placed inside a water-filled vase for 2 hours. This procedure will rehydrate the roots. This step needs to be started by digging the holes. The hole dimensions are very important as these will influence whether or not the seedlings will adhere to the new soil. If the holes are too small, the root system will grow very slow. The dimensions of the holes are also influenced by the soil airing rate. If the soil wasn’t properly taken care of, the holes must be dug 2-3 months in advance and must respect the following dimensions: 100 x 100 x 80 cm. If the soil has been properly taken care of, the holes can be dug 1-2 days in advance, or even during the same day. If this is the case, the holes will have to respect the following dimensions: 50 x 50 x 50 cm. The soil that has been taken out of the superior part of the soil must be mixed with organic compost and poured at the bottom of the holes. 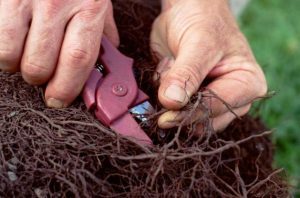 Insert the seedlings into the holes in such a way that the roots are directly placed on the fertile bottom layer. The tree’s grafting point must be 3-cm above and soil and orientated towards north. After planting, the soil around the trees needs to be properly watered and next to the seedlings, supporting stakes need to be inserted (to make sure the seedlings will have a straight growth). The seedlings can be covered with anti-rodent protective materials and the orchard needs to be fenced. In some areas, due to the climatic conditions, the springs can be dry. The seedlings that have been planted since autumn are sensitive to this period and must be watered periodically. To keep the humidity, the soil around the seedlings must be superficially ploughed and covered with hay-based organic compost. Besides preserving the water, the mulching layer increased the microbiological activity around the roots. This is how the tree will have an harmonious growth and its root system will properly grow. The cuts will have to be performed since the first vegetation year. These will maintain a balance between the tree’s growth and fruition. A tree that has been correctly cut will have a larger exploiting period than an unformed tree. The sour cherry’s crown must be formed so that the maintenance and harvesting procedures can be done as easy as possible. During the spring of the first vegetation year, the tree needs to be shortened to an 80-cm length, above an exterior-orientated bud. After the trees enter their vegetation periods, all buds near the trunk need to be removed, up until a 50-cm length. During the course of the summer (August) choose 3-4 sprouts, evenly placed on the tree to form the crown. In the spring of the second vegetation year the main sprouts need to be chosen. If these are longer than 60-cm, shorten all to this size. The sprout that extends the main axle needs to be shortened so that it is 25-cm higher than the main sprouts. During summer eliminate all greedy sprouts and those that grow on the superior side of the main branches. During the third vegetation year, the extension branch of the main axle needs to be shortened above a lateral bud, as this will ease the branching process. Choose a sprout to form the crown’s second layer. This sprout must be 60-70-cm above the first crown layer. The sprouts that grow on the superior part of the branches must be eliminated. During the fourth year, choose a sprout to form the third crown layer. This must be 30-cm higher than the second crown layer. Take out all greedy, competing or interior-oriented sprouts. 50% of the annual branches need to be shortened to 4-5 buds (to balance the fruition). During the following years, the cuts will be intended to limit the tree’s height increase, balancing the equilibrium between growth and fruition. Old branches (4-5 years old) will have to be removed, along with the unhealthy ones or the ones growing towards the interior of the crown. When it comes to the sour cherry, cuts can be performed even during summer. These cuts are easily borne by the trees, comparing to the cuts applied during the vegetative rest period. First thing, eliminate the broken, dry, unhealthy branches and the greedy sprouts. The cuts will have to be applied next to a ramification, or near a bud. This will lead to crown rejuvenating. Remove the overlapping branches and the ones that shadow one another. Pinch the young sprouts (slightly cut off their tips). This will stimulate the fruit-bearing buds’ differentiation and the sprout ramification. All cuts must be applied obliquely. This way, the water will easily drain away from the wounds. The wounds that are larger than 2-cm need to be covered in mastic. – Twisting: this consists of twisting a branch or some sprouts. This process stimulated the fruition. – Breaking the branches: this needs to be done to the branches that have a bad orientation. The broken branches bear fruit quicker. – Training the branches: this consists of changing the branches’ natural positions, by conducting them to grow vertically. This leads to the branches’ growth and fortification. This procedure needs to be performed during the mature states of the trees. During this phase, the vegetative growths are lacking, and this leads to crown rejuvenation. – Tilting the branches: this consists of changing the branches’ natural position by making them grow horizontally. This operation leads to an increase in the number of the fruit bearing buds from the branch, and to the crown airing. The branches can be bent beneath the horizon level, as this will provide an abundant fruition. This operation needs to be performed during the young phases in the trees’ lives, when the vegetative growths are predominant. – Arching the branches: when performing this position changing technique, the base part of the branch is ascending and the terminal part of the branch is bent beneath the horizon point (descending). Maintaining the orchard needs to be personalized depending on the area and the age of the plantation. If there is an irrigation system installed, the distance between the tree rows needs to be planted with legumes and fruit-bearing shrubs. Examples: tomatoes, peppers, eggplants, onion, garlic, potatoes, strawberry, etc. In areas where the soil has been eroded, the distance between the tree rows must be planted with herbs and in the steppe areas it needs to be kept clean, so that the soil can gather as much water as it can. The soil can have herbicides applied, but only 2-3 years after planting. Products to be used: Centurion, Agil, Fusilade Forte, Pantera, Leopard. Having an irrigation system installed is mandatory for the areas where there are few rainfalls, as this will assure large productions and a good tree development. 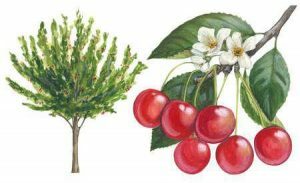 The critical moments when the sour cherry needs water are: the differentiating bud phase (bud opening phase), the blossoming phase and the fruit growing phase. We recommend irrigating the soil as many times as needed, to assure a constant soil humidity. The best results can be achieved by using drip irrigation and localized irrigation. This will reduce the risk of leaf diseases. We recommend using 400 cubic meters per hectare per watering. Due to the capricious weather conditions from last years, the fruit-bearing trees are sometimes affected by the last spring frosts. These can totally compromise the future harvest and can lead to the plant’s death. To protect the trees against this, there is one solution, a pretty simple operation. When low temperatures are expected, burn easily ignitable materials in the orchard that emit a large smoke quantity. Examples: rubber, hay, organic compost, oily residues, peat, etc. Use around 80-100 piles for a hectare. This technical procedure will protect the trees against temperatures as low as -3 degrees Celsius. Fertilizing the young plantations needs to be done using 20-30 tons of organic compost, once every 2-3 years, or using chemical fertilizers that need to be applied every year. Complex NPK fertilizers can be used, 300-400 kg per hectare. If the plantations are young, these fertilizers need to be applied at the bottom on the trees. The trees react well to leaf fertilizers. The following products can be used: Cropmax, Amalgerol, BlackJak, Terra-Sorb. Pay extra attention to the trees’ health. A healthy orchard will produce fruit for many years. The maintenance procedures such as the cuts, irrigation or fertilizing can increase the trees’ resistance against diseases and pests. 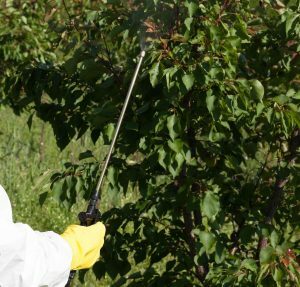 For more information about the diseases and pests that can affect the sour cherry crop, as well as the proper prevention means, please click here. 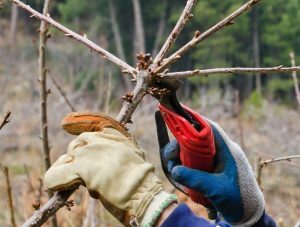 During winter, the pathogens and pests that affect fruit trees winter in different forms and stages on the tree’s bark, or under the leaf layer from the soil. To destroy any possible disease outbreaks from the orchards, gather the fallen leaves and branches, clean the tree branches using a scrubbing brush as this will remove the pest eggs, the moss, the lichens. During the vegetative rest period (winter) a few treatments need to be applied. The following pests can be successfully fought: the Lackey moth, aphids, acari and the wooly apple aphids. These treatments will have to be applied during the first winter days, when the outdoor temperature exceeds 5 degrees Celsius. When it comes to diseases, the first treatment (after the leaves have fallen) needs to be applied using copper-based products. The second time spraying the trees using copper-based products needs to be done during spring, at the bud opening phase. These substances need to be dissolved in water and sprayed on the entire tree surface, from the base, near the soil up until the branch level. The following products can be used: Zeama Bordeleza, Champ, Funguran. These treatments need to be applied during sunny days, when the outdoor temperatures exceed 6-7 degreed Celsius, so that the solutions will not freeze on the trees. 7-10 days after the copper-based products have been applied, spray the trees using horticultural oil (150 ml for 10 l of water). Examples of products: Confidor Oil or Ovipron. 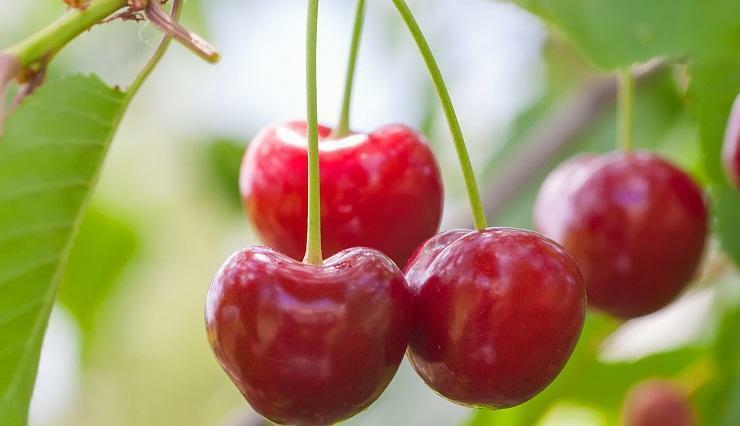 The sour cherries are perishable and cannot post-mature. The sour cherries also mature at different times, this is why it is important to split the harvesting process in 2-3 phases. The harvesting process needs to be started once fruits have reached the characteristic specie color and dimensions. The fruits need to be quickly transported to cold and dry storing rooms. 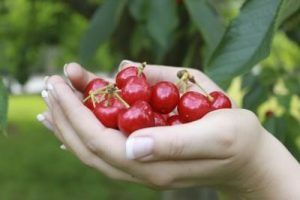 The sour cherries need to be harvested along with their peduncles and cannot be stored for more than a few days.